Happiness - we all want it but how do we get it? Up there with the meaning of life, it's one of humanity's most frequently posed questions. Most of us know that money, fast cars, big houses, designer clothes or a big-screen TV are not the answer, but how do we know what is? So says respected psychologist and author Dr Timothy Sharp. He is the founder (and Chief Happiness Officer!) of The Happiness Institute, Australia's only organisation focusing specifically on enhancing happiness in individuals, couples, families and organisations. Come on - choose to be happy! Dr Timothy Sharp is a clinical and coaching psychologist. He is a speaker at the upcoming 2nd International Conference on Happiness & its Causes in Sydney, and founder of The Happiness Institute in Australia. 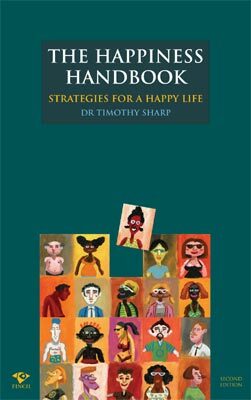 Timothy Sharp, a consultant to many large organisations and hundreds of individual clients, has developed a range of simple but effective plans designed to increase people's happiness levels, and deliver life-changing results. He lives in Sydney. Review: Find out what effects your happiness and the best way to get the most of life and enjoy the journey.